From JOOTOP comes this gorgeous Lord of the Rings themed unisex ring, based on the "The One Ring" or the "Ring of Power" ring from the films, for all the the fans of the films and the books out there. The ring itself is made of stainless steel and colored in silver, black or gold depending on your preference. 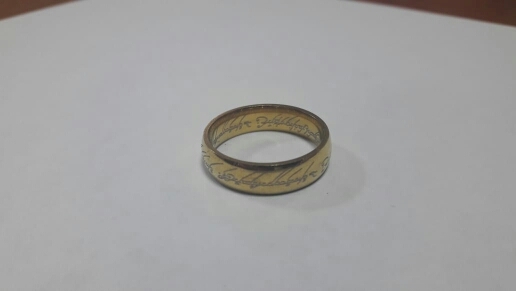 On the ring is written in "old Elfish" is "Ash nazg thrakatulûk agh burzum-ishi krimpatul. " which translates to "One ring to rule them all, one ring to find them, one ring to bring them all and in the darkness bind them". Would make an excellent accessory for costume events parties like Cosplay and a perfect gift for die hard fans of Lord of the Rings. Available in three different colours and eight different sizes. Шло около месяца. Товаром доволен, за свою цену качество нормальное.